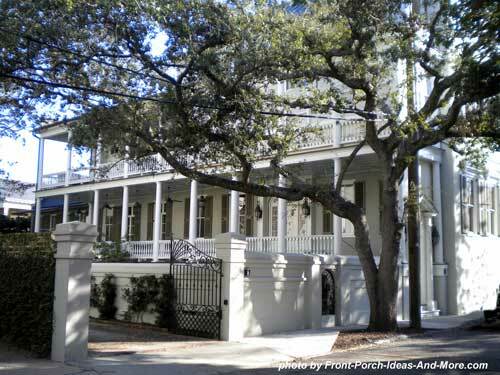 Unique Charleston attractions include the fabulous side porches of their historic homes. Porches are positioned on the side of the home rather than in front. 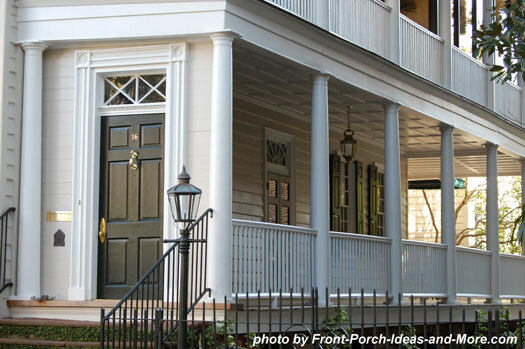 A unique feature of the side porch is that many of them have an exterior door. When the outer "hospitality" door is left open, it was a signal to neighbors and friends that the owners were home and ready to receive guests. Placing the porch on the side gave owners more privacy and a deeper layout on typical long, narrow lots. Side porches also allowed more air to flow through the home to keep it cool in summer. 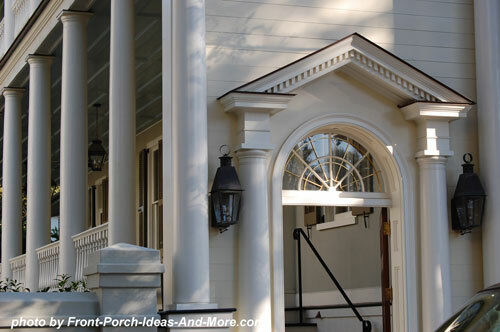 Side porches have widely-spaced columns along the length ensure open expanses to capture breezes. 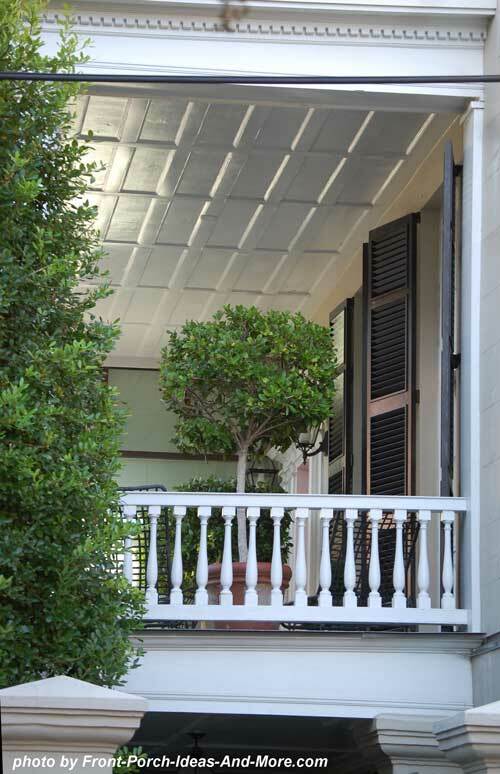 You'll also find on true Charleston-style homes, working decorative window shutters to help prevent damage from strong tropical weather. 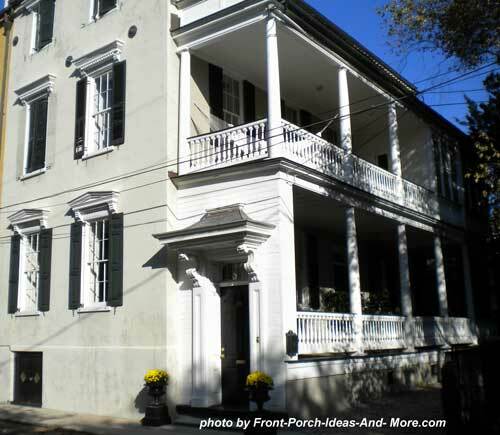 Mary and I traveled to Charleston, SC., to bring you the finest photos of side porches. 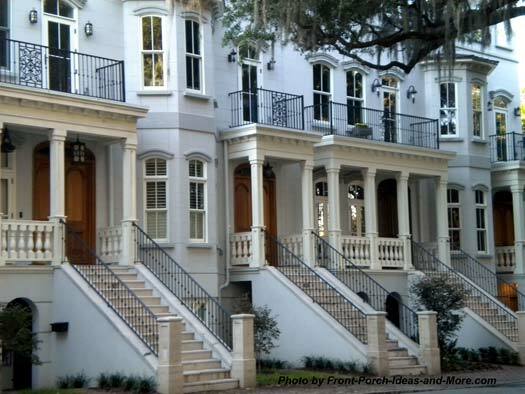 We thoroughly enjoyed walking the streets of Charleston and seeing these beautiful homes. We hope you enjoy them too. 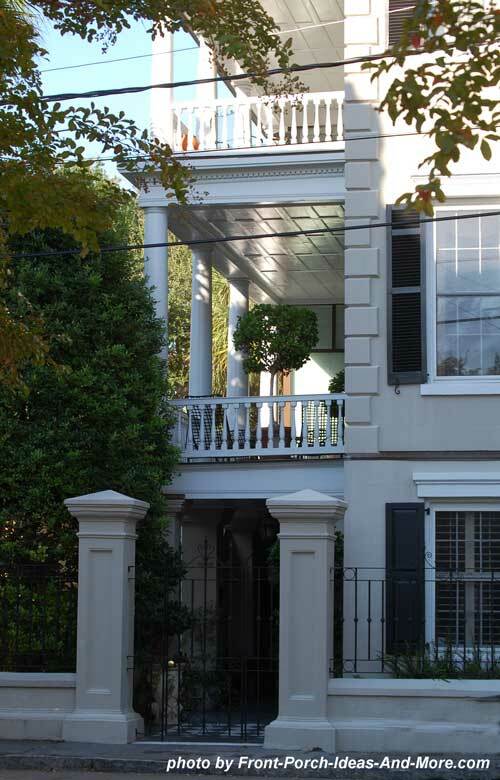 Huge colonnaded porch - true southern style! 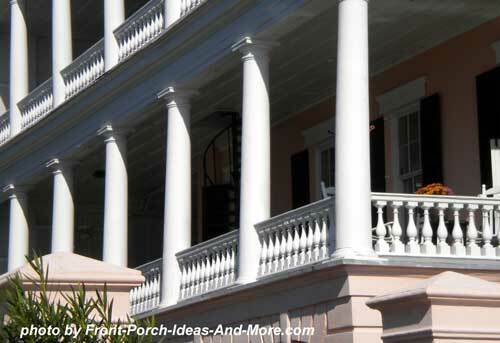 On the hunt for classic Southern porches and home designs? 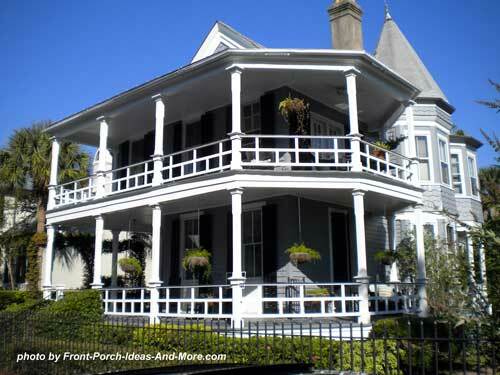 Be sure to see our Charleston Vacations, and Historic Charleston SC, too. 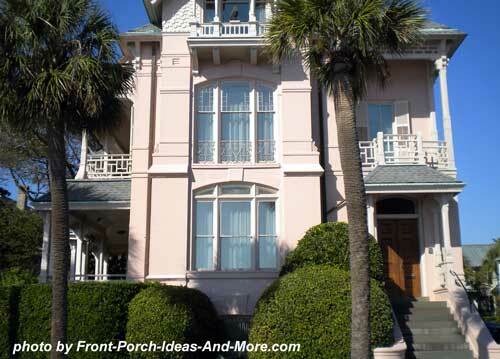 Charleston is not only famous for its porches; it's equally famous for its colorful foliage! There are plenty of Charleston things to do. Azaleas, roses and poinsettias abound. Magnolias and willow trees are local favorites. You'll soon see that Charleston landscaping includes trellises for different vining plants, especially yellow jessamine, the state flower. 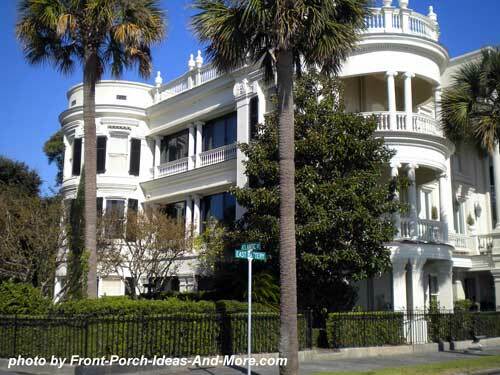 Combine great porch architecture and beautiful landscaping - Charleston attractions you don't want to miss! Where Did We Travel Next?